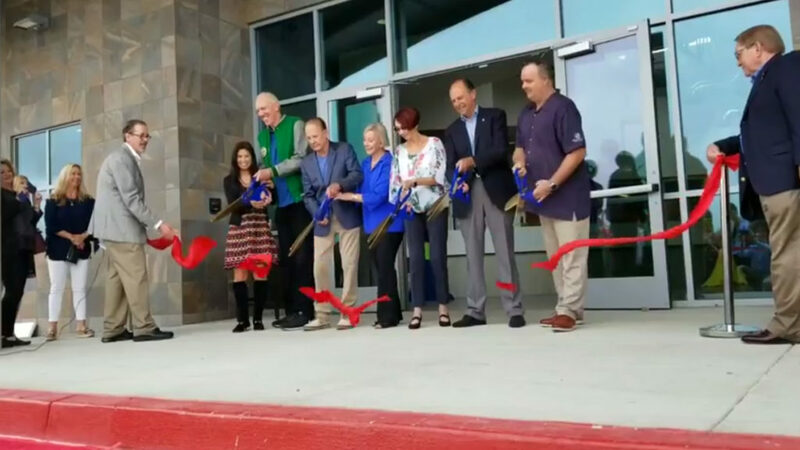 A new gymnasium at the Boys and Girls Clubs of East County named after one of La Mesa’s most famous native sons was unveiled Thursday morning. The Bill Walton Gymnasium is located inside the 26,000-square-foot Brady Family Clubhouse. It was the first time a gym had been named after the Basketball Hall of Famer, Walton said at Thursday’s ribbon-cutting event. Walton regaled the audience in attendance about this time growing up in La Mesa and attending Helix High School, which is a hop and skip down the street from the gym that now bears his name. Brady Family Clubhouse also houses the Gagon Academy, a state-of-the-art learning center and homework room. The club is expected to host nearly 1,500 kids each week. The clubhouse cost nearly $10 million and Ron Brady and his wife, Mary Alice, donated $3 million toward the center. The estate of Eleni and Wolfgang Gagon donated another $3 million and the county chipped in $170,000 in grants. The rest of the money came through fundraising efforts, including from Walton himself.